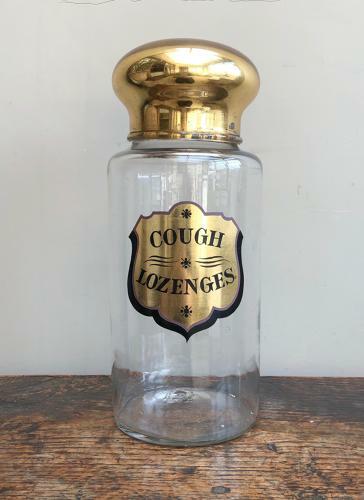 Really Superb Mid Victorian c.1850 Chemist's Apothecary Jar for COUGH LOZENGES. Completely original and in fantastic condition. The lid has reverse painted gilt inside & the bottle has painting on the outside. Hand blown with a good pontil mark to the base. No damage at all and paint completely original. Post is wrapped Special Delivery Next Day, tracked and signed for, for £18.